The trusted original for a classic look and feel. 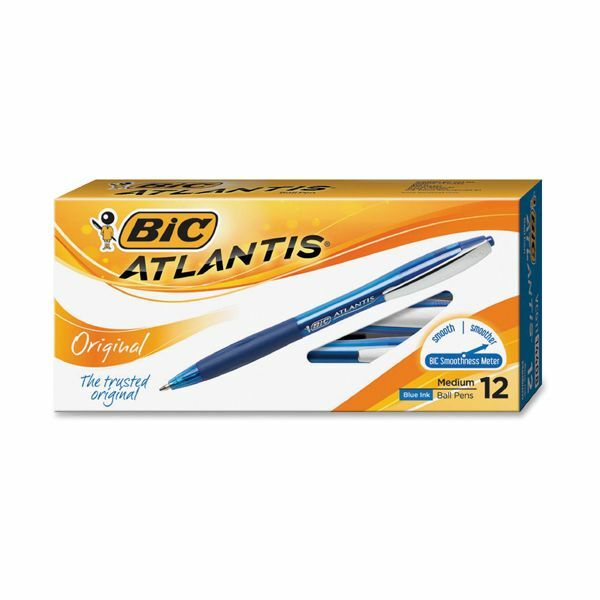 Even smoother than the BIC® classic ink system. Comfortable rubber grip and convenient metal clip. 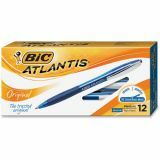 BIC Atlantis Retractable Ballpoint Pen, Medium 1mm, Blue Ink & Barrel, Dozen - High-comfort ballpoint pen delivers super-smooth writing with Bic's exclusive ink system technology, Easy Glide, so you can feel the smoothness. Nickel silver point provides a consistent application of ink. 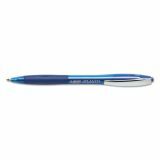 Soft contoured grip allows comfort and control. 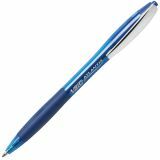 Design also features a medium point (1.0mm), top plunger for easy retraction and clear barrel for a visible ink supply. Grip and clip color match ink color.